Susan Aitken, AIA, LEED A.P. is a licensed architect in California, a graduate of Cal Poly, San Luis Obispo, and a partner in Hamilton + Aitken Architects, which she co-founded with her partner Chad Hamilton. Hamilton + Aitken Architects focuses on design for education, including buildings and interiors for childcare, K-12 public schools, college facilities and related building types including libraries, auditoriums, guidance centers, administrative offices and outdoor learning and recreation spaces. Ms. Aitken enjoys integrating her creative impulses with the business side of growing an architecture firm. Susan is a long term member of OWA, and also a member of the Construction Specification Institute (CSI) and the National Association of Women in Construction (NAWIC). Earlier in her career she worked for Lawrence Halprin as a Project Manager for the FDR Memorial in Washington, D.C.
Gabriela Chamu, IIDA, is an Interior Architecture & Design student studying at the Academy of Art University to receive her BFA in Spring 2011. She plans to continue her studies and receive her Masters Degree in Architecture and/or Landscape Architecture and specialize in sustainable design. Dede D. Tave Graduate of CalPoly Pomona and is currently enrolled at Academy of Art studying Interior Architecture and Design Master's Program. When not in class,volunteer's for different organizations such as Architecture for Humanity and Philanthropy by Design. Also, works part-time at Sloan Miyasato Showroom at the San Francisco Design Center. Her efforts are focused on staying current with the changes in the architectural and design industry. 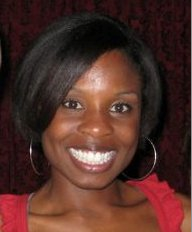 Karlene Gullone served as the Membership and Information Coordinator during the past year on the Steering Committee. She also coordinated the OWA mentorship program and the organization’s exhibition for the Architecture and the City Festival. 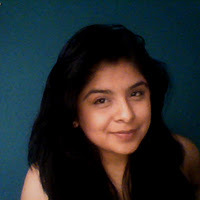 This year, she continues as the Information Coordinator and serves on the newly formed OWA scholarship committee. Karlene is a LEED-accredited Architect and a Certified Green Building Professional, with a decade of experience in urban design, mixed-use development, and historic preservation. Last year, Karlene & Lisbet formed Gullone Urban Architecture, a mother-daughter team specializing in sustainable urban development. Lisbet Gullone has 30+ years of experience in landscape architecture, civil engineering, and planning. Theircurrent work includes Cultural Resource Nominations, preservation, and remodeling. Karlene earned a Bachelor of Architecture from California Polytechnic State University in San Luis Obispo and is currently pursuing a Masters in Education. She mentors aspiring architects in the AIA San Francisco, and plans to teach architecture in the future. Proposal: Identify other professional groups, who are either women professionals or members of related design and engineering fields who have relevance to OWA. Evaluate appropriate groups for cross-interaction and support. • Negotiate discounts for OWA members for services or training offered by that group. 1. Increase OWA visibility with public, professional groups and other groups with similar goals. 2. Contribute to arrangement of Speaker and presentations. 4. Identify organizations that are already providing services OWA would like to provide to our members, but avoids duplication (and the organizational effort that goes into planning them). How you can help: Are you a member in another women’s professional group? Are you aware of or familiar with another organization that seems to fit the bill? Send your suggestions to me at Susan Aitken. I’ll update my progress in future newsletters. On January 26, the OWA Steering Committee was pleased to invite the architect, artist, author and philanthropist Beverly Willis and Wanda Bubriski, the Director of the Beverly Willis Architecture Foundation (BWAF) to Hamilton+Aitken offices for a conversation about the respective goals of BWAF and OWA. Some of you may know Ms. Willis from her career in San Francisco as the principal of a 35- person firm from the 1960’s through the1980’s. One of her best- known projects is the San Francisco Ballet Building in Civic Center. • Building Industry Leaders Roundtable- a group of selected large firms who develop strategies to improve the retention and advancement of women. • Online Center for Education Resources- Resources for educators, students, and the public including bibliography, films and an on-line feature “Built by Women”. • Women of the 20th Century American Architecture Collection- preserving the architectural legacies of the women who have shaped our country’s built environment. In support of this last program, Ms. Bubriski invited our members to contribute biographical information to the National Archive of American Women Architects – including your own history. Look for this link on the BWAF web site, below. Ms. Willis and Ms Bubriski were enthusiastic about the OWA 40th anniversary plans and offered assistance with advice and introductions, and opened the door to further discussions about how we may link our efforts to advance our mutual goals. Beverly graciously presented OWA with a copy of “A Girl is a Fellow Here” , 100 Women Architects in the Studio of Frank Lloyd Wright.. BWAF produced this 15 minute documentary, that many of us have already enjoyed viewing at the Westerbeke retreat. OWA will schedule a showing at one of our future meetings. I recommend that you review the wealth of information on the BWAF website: bwaf.org. Beverly Willis’s own archive is available on beverlywillis.com. Rebecca "Becky" Wood Watkin, born April 4, 1913, in Portland, the daughter of attorney Erskin Wood and Rebecca Biddle Wood and granddaughter of C.E.S. Wood, died Dec. 19, 2010, at the White Sands retirement home in La Jolla, Calif. Becky was a graduate of Miss Catlin's School for girls, received her Bachelor of Arts from Bryn Mawr College and was one of the first women to receive a Bachelor of Architecture from the Architecture School at the University of Pennsylvania in 1937. 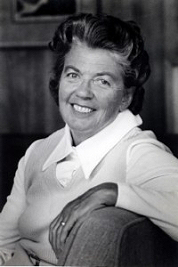 She is survived by her children from her first marriage to architect Joseph Esherick, Joe Esherick of San Diego; Lisa Esherick of Berkeley, Calif.; and Peter Esherick of Albuquerque, N.M.; five grandchildren; and five great-grandchildren. She will be greatly missed by all who loved her for her generous heart and love of humanity. Throughout her life Becky served many organizations, political and social, dedicated to making this a better world. A celebration of Becky's life is planned for 2 p.m. Saturday, Feb. 12, 2011, in the Unitarian Church of Marin, 240 Channing Way, San Rafael, CA 94903. Please RSVP to lisa@lisaesherick.com, if you are planning to attend the celebration. On January 18th, under the illuminated and illuminating original marquee and blade sign, twenty plus women began the Fox Theater tour in the heart of Oakland. The tour was given by Chris Edenborough, executive director of Friends of the Oakland Fox. After being closed for over 40 years, Fox Theater reopened its doors in 2008. The theater shares its space with the Oakland School of Arts. 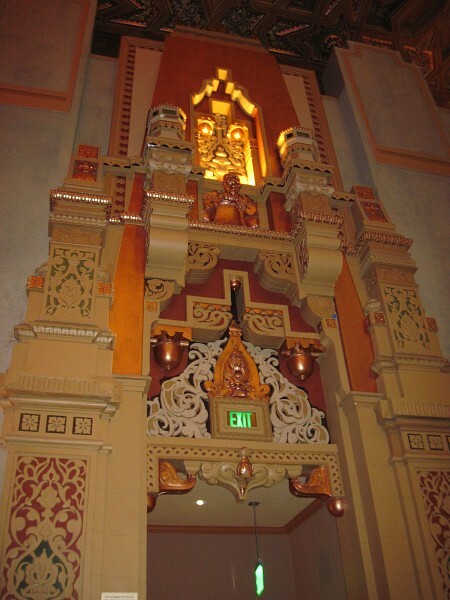 In a few shorts years, Fox Theater was restored to replicate its original fixtures and architecture. No two lines are alike inside, just one concept does not run through the theater; it is a combination of concepts and motifs seen throughout the world. Original artifacts are displayed in cases at the entrance of theater. Today, people pay visits to the theater to watch performances while feeling the ambiance of its early 19th century surroundings. Architects involved in the remodel are KPA Group but other firms played a part. ELS Architecture & Urban Design worked on the theater. We started out the discussion with what surprised us about the book, continuing naturally into a lively conversation for about an hour and a half. Some of the specific ideas are summarized in the order we were sitting. Leon Setti: Regionalism interesting for Easterner. Incredible research needed to find the details of these not so famous women architects, while books are usually about famous men and there is so much information. Oral transfer of culture has more influence than the written story, but he liked how some of the information was linked in the book, like who probably knew about who, and who helped who, and the context of these women architects lives. I didn’t have a mentor for architecture, but in dance and car design I do have wonderful mentors and they have become important life friends. Hourig Ayanyan: These early architects had support groups and extended family to help them, I found that useful but I noticed a correlations between the number of buildings a woman designed usually indicated she had fewer children and family obligations. It was pointed out that Julia Morgan lived at home until she was sixty years old. Many, but not all, were from well to do families who probably had servants or paid domestic help. The question of modern marriage, where both members of a couple work and where in-laws do not live near by, was discussed—benefits and disadvantages. OWA’s role in supporting others was also brought up. Shannon Devine: Was interested to know that a woman architect was involved in the Golden Gate bridge design. The variety and range of paths these pioneers took was very inspiring and showed that there is not one smooth path but lots of different ones. You don’t need to be perfect to enjoy practicing architecture, life can shift and change along the way. And there are lots of strategies to use to find your own path. One action can lead to another. Karlene Gullone: The drawings in the book made me think about how the profession has changed. Knowing the history adds many layers of richness to understanding architecture for me. I have seen Inge speak and it certainly made me aware of many women architects about whom I had formally known nothing. Yet, you cannot summarize this list in just an hour lecture. There are so many more important details that make this book an essential read for every woman architect. Tammy Lin: The drawings made me want to do more sketching. I would like to add my thought about the need to publish even more projects completed by women architects to influence the public perception of the success and participation of women architects in the industry. This book brings the historical perspective that credits the extensive contribution of women architects and anchors our role. The level of detail and information is both an interesting read and provides a good reference. good plan? Yes, came from Karlene who wrote a paper about architects in high school and interviewed 3 men. This book would have expanded my worldview. Role model question seems like an important one. Wendy Bertrand: This book is a great contribution to the history of women architects. I don’t really know how it would have influenced me if I had had this book to read as a student or before going into architecture. The talent and abilities of these amazing women might have overwhelmed me. Knowing about the history is an important fact I underestimated as a young person. Being able to tell others about the history helps validate women’s desire and attempts to practice architecture. 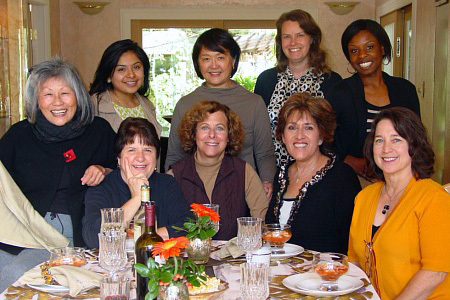 It adds a foundation to ones perception of women in architecture that each one of us can pass on. layers of richness to my perspective on the field. OWA members, it’s time to renew your membership in the OWA for 2011. If you haven't already renewed, Log in now and then click on the red membership payment link. You may now renew online with Paypal. Membership is no longer prorated, so send in your membership dues today! We’ve got a great series of events with more to come. Check out the OWA Calendar for 2011.